Have fun in downtown Kenosha on Labor Day weekend and support Circle of Hope. 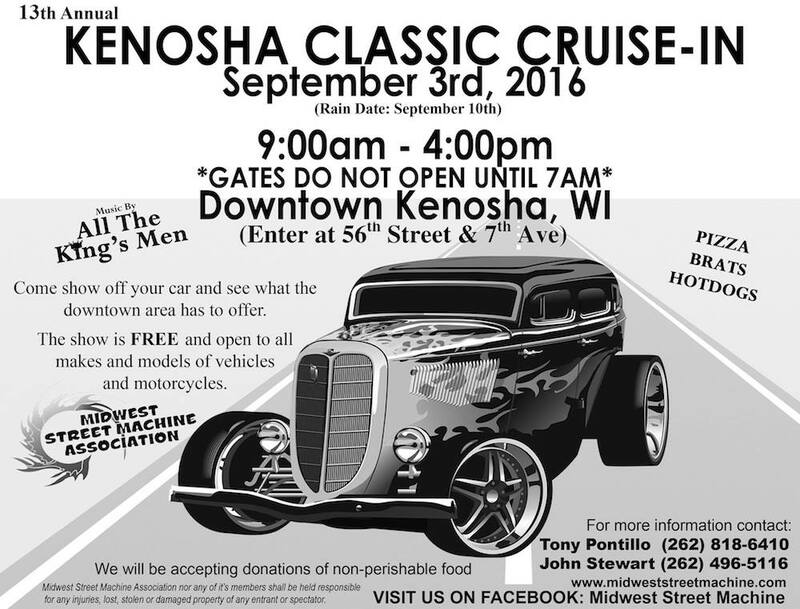 It's time for Midwest Street Associations 13th Annual Kenosha Classic Cruise-In Car Show from 9 a.m. to 4 p.m. Circle of Hope will have our popcorn wagon parked on the corner of 6th avenue and 58th street. We will be selling hotdogs, popcorn, beverages and snacks. All the proceeds will go to Circle of Hope where we will continue to help women in Kenosha and Racine county with any uncovered bills associated with a breast cancer diagnosis. Admission to the show is free and open to the public. So come downtown Kenosha on September 3rd from 9 a.m. to 4 p.m. enjoy the sounds of Elvis with the band All The King's Men, see some beautiful old cars and motorcycles. It's always a fun event with lots to see, and a great way to support Circle of Hope!